It’s already late. I’m standing at the kitchen sink, and I have to pee. This is the time of the day I look forward to, the time she comes home from school. Giving up my career means I can arrange my own schedule to meet her at the bus stop. It was harder when I worked, never knowing if my husband would be in town or on a business trip or what time he’d be home or whether I’d need to arrange for a sitter. He hardly ever told me in advance. Letting me know his schedule—let alone committing to one—didn’t suit him. But that hardly matters now because I’m not juggling work. Today’s a Tuesday, dance troupe day, so she rode the late bus. It didn’t pull in until almost 7pm. “They’ve got me coming down Wilshire with all that construction,” Antoin the bus driver had said. “Maybe they’ll change the route if enough parents complain.” I should send an email. Who’s the person in charge of route operations? I’ll have to go online and look it up. But first I should get dinner going ’cause it’s already late. “No, I’m okay!” Jacqueline calls back. I’m standing at the sink, but I feel as if I’m running in circles. There are a series of basic tasks to complete between now and bedtime, each one divisible into a series of smaller tasks, but I don’t know which to do first. My brain feels fuzzy. Maybe I’m hungry. Maybe I’m worried because today she had dance troupe, so it’s already late. I open the drawer with the placemats and take out two. But it’s already late so maybe my husband will be home before we finish eating, before it’s time to get ready for bed. Maybe he’ll be offended if he sees I haven’t set a place for him. I take out one more placemat. Then take out three silverware settings of knives and forks. I need to pee but continue hold it because of the time, and I walk to the drawer where we keep the peelers and spatulas and wooden spoons. The two peelers are right in front, and I take out the one with the black handle, the one for lefties. 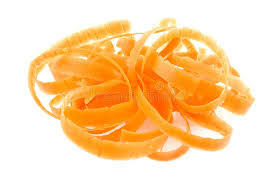 Then I close the drawer and carry the left-handed peeler to where I’d just been standing at the kitchen sink. I still haven’t taken the time to use the bathroom, and now I’m also thirsty. Despite my rush, I force myself to take the time to grab my blue glass that’s right there by the sink and hold it under the faucet until it’s full of water, then drink it down. Then I force myself to take the time to fill the glass again and drink that one too. That’s when I remember about Jacqueline’s snack bag. Better pack something extra for tomorrow’s ride home, or she’ll go to the student store and buy junk food. The lefty peeler’s where I left it on the counter. I walk back over to the drawer where I got the peeler and open the one right next to it, the one with all the knives. I’d like to pare down this assortment but don’t want to be interrogated later about what happened to all the knives. Carefully so as not to cut myself, I rummage around for the one for chopping, the one he said’s no good for lefties but that has become my favorite knife. Before returning to the sink, I go to the center island and open the cabinet underneath and feel around for the small wooden cutting board with the silicon edges wedged in with an assortment I never use and would whittle down if I thought I could get away without him noticing. I carry the cutting board with the silicon edges and the knife he doesn’t know I use back to the sink. Everything I need is on the counter. It’s the perfect time to take a bathroom break. I turn around and make for the hallway, but first I stop at the fridge and open the door. There, I see the baking pan with the chicken thighs sprinkled with paprika. I take out the baking pan and put it on the counter of the center island and remove the Saran wrap and preheat the oven. Then I walk back to the sink to throw away the plastic wrap in the garbage can underneath, and I remember about the carrots I meant to peel and chop for Jacqueline’s snack. I cross the kitchen to the refrigerator again and open the door to take out the jar of hoisin sauce Jacqueline likes on her chicken, but there was something else I meant to get only I can’t remember what. Maybe because it’s so late. I like to have everything ready when we sit down to eat—pots and pans cleaned and put away, snack bag packed. That way I’m not thinking about tasks that need completing when I’m sitting at the table with her. That way I can enjoy our conversation or the TV show we’re sharing, knowing things are under control. It’s good if the pots and pans are put away and the kitchen is mostly clean for when—or if—my husband comes home while we’re sitting at the table, so he can dump his giant bag of papers and files and mail, plus his computer and iPad and Blackberry, in the middle of the kitchen. If he comes home while we’re sitting at the table, I feel uncertain. Sometimes I get up and greet him with a kiss, but then he seems exasperated. He’ll sigh, “Can I at least take off my jacket?” Sometimes I remain seated at the table to give him a chance to unwind before being touched. Then his voice has a sarcastic edge when he says hello, like maybe he thinks I don’t appreciate him enough to bother getting out of my chair. Then there’s the question of what to say to him when he first gets in—if it’s best to ask how his day was or acknowledge him in any way. Usually, lately, I remain seated at the table but keep my eyes on him so he feels listened to while he complains about the traffic and the stupid people at work. Then he steps out to use the bathroom. Then I blast my plate in the microwave. What I really want to do at dinner is enjoy that precious time with my family at the table. Growing up, my family almost always sat down together for dinner, and something about dinnertime still feels sacred. But as much as I treasure that time, my body is tuned to the possibility of some danger. This is why it makes me feel better when the pots and pans are put away before he comes home. I pick up my cell phone and scroll through my messages to make sure there’s nothing from him, but I reply to some emails I’d gotten earlier and marked “unread.” When I finish going through my emails I remember about the carrots. I go back to the fridge and I take one out, then put it on the counter by the sink. I need to settle myself before calling Jacqueline in for dinner. Words, tone of voice, body language, facial expression—she takes it all in. We’re alike in that way. Standing at the counter with the carrot and the peeler and the knife and the cutting board, I suddenly remember my husband said he had to stay late at the office and wouldn’t be home. My shoulder blades drop an inch as the tension I hadn’t noticed I’d been holding dissipates. I see my reflection in the window above the sink against the darkening sky. Realizing my relief at my beloved’s absence brings tears to my eyes.